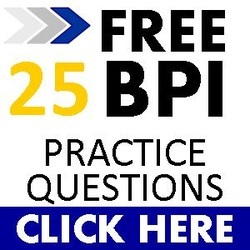 A full resource for you to help pass the BPI Exam the first time! With so many BPI Training Courses, it can be hard to know which one is best. Here are the BEST practice exams you can find that I've personally used and recommend to anyone. To get FREE updates and information about all the BPI Exams, please enter your name and email below. Definition of efficiency: input over output capacity. How much useful energy do we get back that we put into a system. How many miles per gallon do we get on a car engine? How much heat is delivered to our homes from every therm that we put in? How much light can we get from a light bulb for every kWh we put in? I remember when I just got my BPI Certification thinking, "when am I ever going to use the First Law of Thermodynamics (energy can never be created or destroyed) during an energy audit?" Well here is a great application of the First Law of Thermodynamics in understanding input / output capacity, aka efficiency. We never get 100% efficiency out of out appliances, cars, heating and cooling system or any mechanical system for that matter. Only half of power created at a power generating facility actually gets delivered to our homes, so there is a lot of wasted energy that gets unused, but where does it go? The First Law says that energy is never created or destroyed, only transformed. The answer is that all the unused energy gets turned into heat... which means we end up paying for something we are not getting. Enter energy efficiency and input over output capacity. Naturally, we want the highest efficient heating and cooling system we can afford and good gas mileage for our cars. How do we find the efficiency of our appliances or major home systems? It is by a simple formula, input / output. How much energy do we get back, that we put into our appliance. Water heaters - EF (Energy Factor). Usually 90% for electric water heaters (the heating element is surrounded by water so little is lost) or 50% for gas water heaters. Furnaces - AFUE (Annual Fuel Utilization Efficiency). 90% for newer furnaces. More on equipment efficiency terms.